This is a scalable context timeline. It contains events related to the event October-November 2000: Suspected 9/11 Hijacker Associates Meet with Prominent Muslim Activist in US. You can narrow or broaden the context of this timeline by adjusting the zoom level. The lower the scale, the more relevant the items on average will be, while the higher the scale, the less relevant the items, on average, will be. 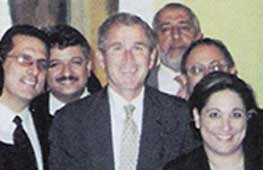 Bush, center, and some of the Muslim activists meeting with him in Austin, Texas. Alamoudi is standing over his left shoulder. [Source: CAIR]Presidential candidate George W. Bush meets with Abdurahman Alamoudi and other suspected Islamic militant sympathizers. US intelligence has suspected Alamoudi of ties to bin Laden and other militant figures since 1994 (see Shortly After March 1994), but he has nonetheless grown in importance as a Muslim political activist. It will later be reported that Alamoudi “sought to secure the support first of the Clinton administration in seeking to repeal certain antiterrorist laws, but when Bill Clinton failed to deliver, Alamoudi defected to Bush, then governor of Texas.” [Insight, 10/23/2003] Alamoudi and other Muslim leaders meet with Bush in Austin, Texas, in July 2000, just one month before the Republican presidential convention. They offer their support to his presidential campaign in exchange for his commitment to repeal certain antiterrorist laws. 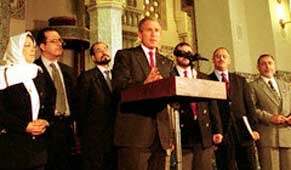 A photo of the meeting shows Bush with Alamoudi, several open supporters of the Hamas and Hezbollah terrorist groups, the former head of the Pakistani Communist Party, and other unknown individuals. One photo likely taken at this meeting shows Bush’s political adviser Karl Rove there as well (see June 22, 2001). 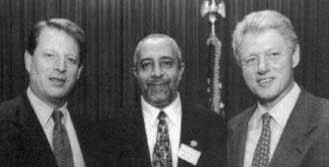 Bush and Rove also met with Alamoudi in 1999 (see 1999). [Insight, 10/23/2003] Some of Alamoudi’s radical connections are publicly known at the time, and in October 2000 the Bush campaign will return a $1,000 contribution from Alamoudi shortly after Hillary Clinton returned an Alamoudi contribution to her senate race. [Insight, 10/29/2001] Muslim activists like Alamoudi are hinging their political support on the repeal of the use of secret evidence in terrorism cases. The Bush campaign had already been strongly pushing for support from Muslim American voters (see 1998-September 2001 and March 12, 2000) and such ties continue to grow. During the second presidential debate on October 11, 2000, Bush will come out strongly for repealing the use of secret evidence, saying, “Arab-Americans are racially profiled in what’s called secret evidence. 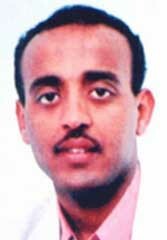 People are stopped, and we got to do something about that.” [Salon, 3/15/2004] Later in 2000, Alamoudi will meet with two suspected associates of the 9/11 hijackers (see October-November 2000), and in early 2001 he will attend a public conference attempting to unite militant groups, including al-Qaeda and Islamic Jihad, to wage holy war against the US and Israel (see Late January 2001). Nonetheless, Bush will appear with Alamoudi several times even after 9/11(see September 14-26, 2001). 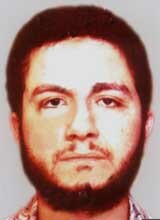 Alamoudi will be sentenced to a long prison term in 2004 (see October 15, 2004).